A slide from Shelby Browning's presentation. Shelby Browning is a junior chemical engineering student at the University of Kentucky's Paducah Extended Campus. 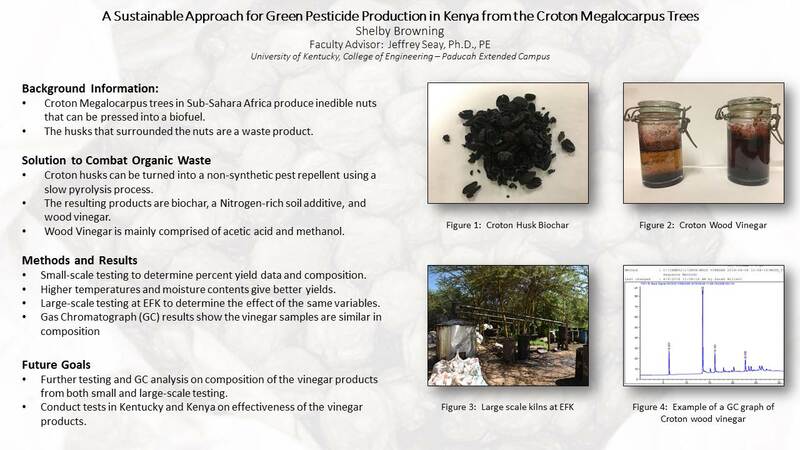 Her research is over organic pesticide production in underdeveloped regions, and she spent the past summer living in Nanyuki, Kenya gathering data for her project.